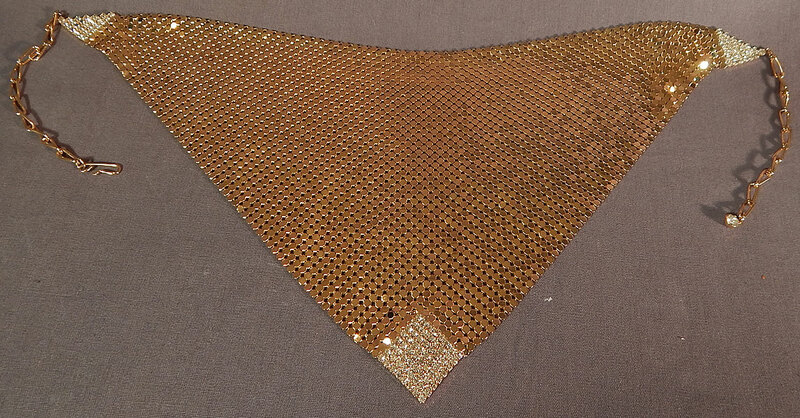 This vintage Whiting and Davis gold metal mesh rhinestone bib necklace scarf collar dates from the 1980s. 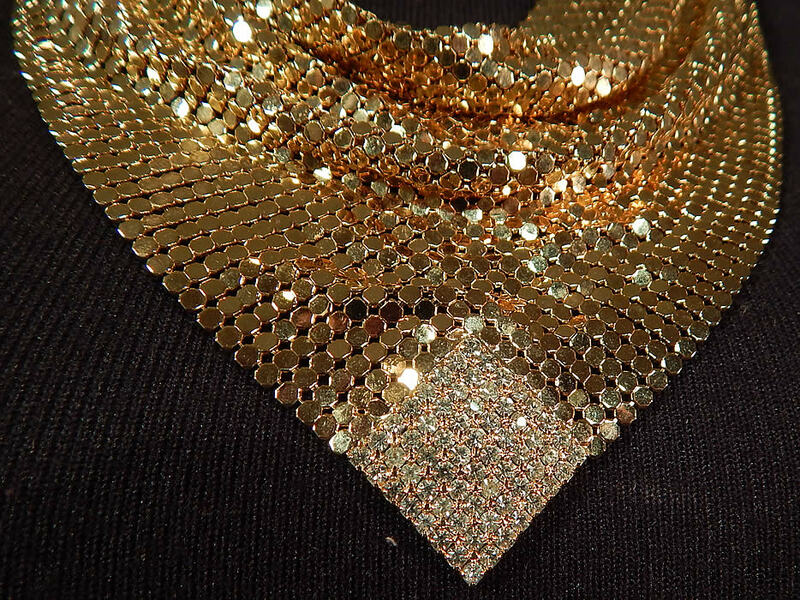 It is made of a gold metal mesh chain mail with gold prong set rhinestone trim triangle corners. 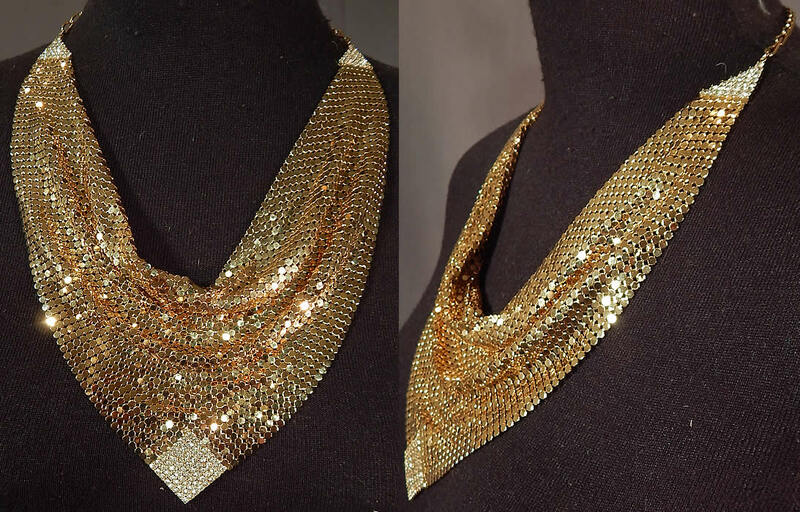 This beautiful bib necklace has a scarf collar style with a draping cowl front neckline and adjustable chain link strap hook clasp closure on the back neck. There is no label, but was created using Whiting and Davis metal mesh. The necklace measures 12 1/2 inches wide at the top, 22 inches wide at the top with chain link strap and 6 inches long in the front. It is in excellent condition. This is truly a wonderful piece of chain mail metal mesh wearable art!